Without feedback, it can be hard to improve. In the workplace, receiving meaningful feedback from a manager can easily make the difference between getting a promotion or being passed over. Yet there is a significant gender disparity when it comes to receiving feedback – and it is women who are coming off worse. The Women in the Workplace 2016 report from Lean In and McKinsey found that women are just as likely to ask for feedback as their male colleagues. However, they are less likely to get it. Most managers say they rarely hesitate to give difficult feedback to both men and women. But the Women in the Workplace study found that women report receiving feedback much less frequently than their male co-workers. In fact, women are more than 20% less likely than men to receive difficult feedback that helps improve their performance. Also, managers are more likely to hesitate when it comes to giving feedback to women due to the risk of sounding mean or hurtful. This is less of a concern when giving feedback to male employees. Not only are women not receiving feedback as often as men, the feedback they are being given is often vague and non-specific. In an article for Harvard Business Review , researchers Shelley Correll and Caroline Simard from Stanford University looked into a selection of performance reviews. They hoped to find out why women were struggling to make it to the next level in their careers. “Our research shows that women are systematically less likely to receive specific feedback tied to outcomes, both when they receive praise and when the feedback is developmental,” the article stated. The findings came from a sample of performance evaluations, which showed that women consistently received less constructive feedback. Correll and Simard also found that when women did receive feedback to help them develop, it was often focused on style of communication. They note that although communication is a vital skill for employee development, women regularly received negative feedback on their style. These findings have been seen in similar studies, including from linguist Dr Kieran Snyder . From her analyses of 248 performance reviews, she found that women were more likely to receive negative feedback. They were also much more likely to receive critical feedback, with this feedback being less constructive and more personal. Comments of this style illustrate the double bind phenomenon, which is the idea that an assertive woman can be seen as abrasive and brusque, whereas a woman who is friendly and stereotypically feminine can be seen as too soft, and not taken seriously. 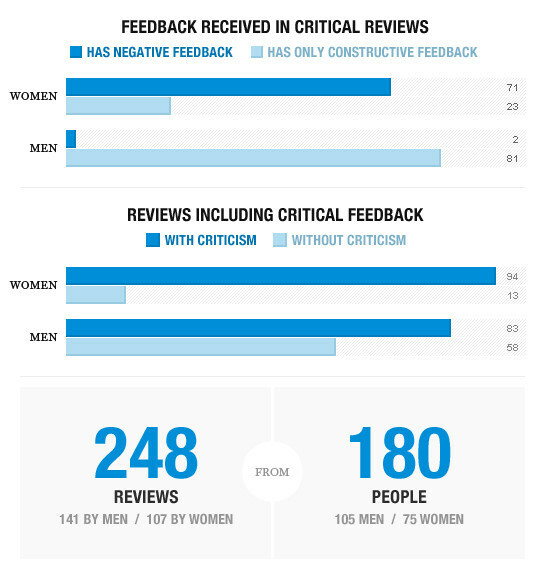 The lack of constructive feedback hinders chances for women to excel. 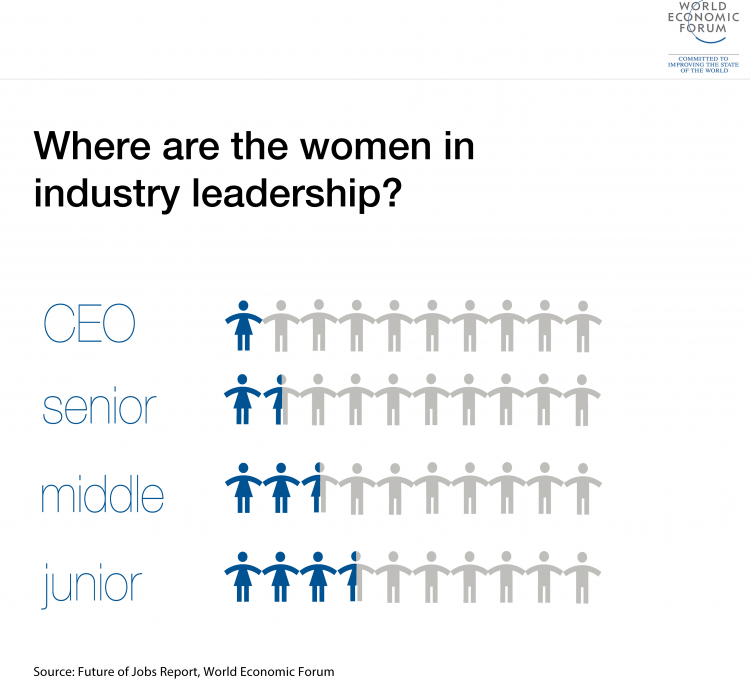 The World Economic Forum’s Future of Jobs Report 2016 shows that women aren't just underrepresented in CEO and senior roles, but also across mid-level and junior roles.